After his highly acclaimed mid-career retrospective at the Royal Hibernian Academy, John Martin Gallery is proud to present the first solo U.K exhibition of the work of Oliver Comerford. 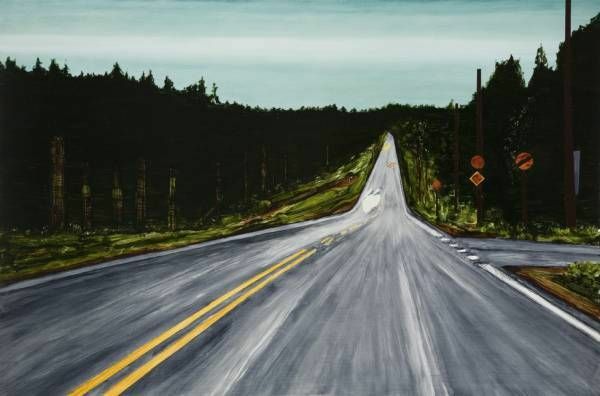 Trained in Dublin, the Art Institute of Chicago, Skowhegan School of Painting and Chelsea College of Art and Design, Comerford's anonymous landscapes offer a powerful evocation of our itinerant lives. As Fintan O'Toole observed, They are images of transition that never form anything so continuous and coherent as a journey. They take us through places that are at once real and insubstantial, that loom in the light and dissolve in the shadows, places where definitions blur and borders between one thing and another seem always on the point of being washed away" Comerford's work is held in the collections of the Irish Museum of Modern Art, the Hugh Lane Gallery.